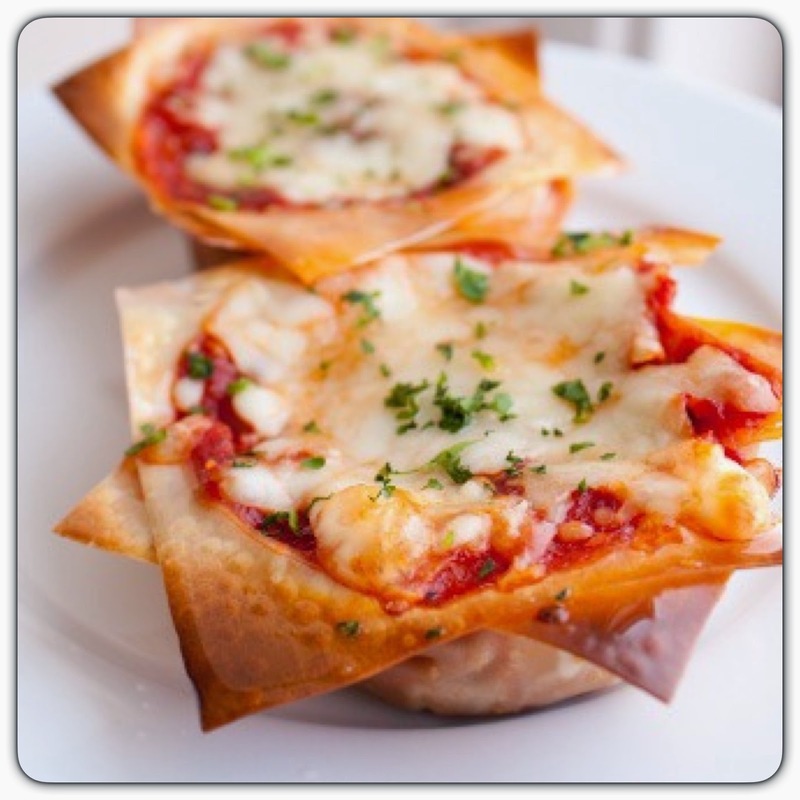 Another muffin tin/wonton wrapper recipe, they seem to be quite popular because not only do these meals freeze well...they're bite-size and easy to take on the go! We added more oregano and basil and a touch more salt than the recipe requires, so remember, as with any recipe, add seasonings to taste! Preheat oven to 375 degrees. Heat a large skillet over medium heat. Add the chicken, onions, mushrooms, salt & pepper (to taste). Saute mixture until onions are soft, add garlic and stir to fully incorporate. Add the crushed tomatoes and 2 tsp of oregano. Bring the pan to a gentle boil. Reduce heat to low and simmer for 10 minutes to slightly thicken. Remove from heat and set aside. In a large bowl, combine the ricotta, a pinch of salt & pepper, the remaining teaspoon of oregano, and the basil. Stir to mix well. Set aside. Using half of the ricotta mixture, divide it among the 12 muffin cups. Next, using half of the chicken tomato sauce, spoon it evenly over each of the ricotta filled cups. Sprinkle with 2 tsp of mozzarella. Bake for 10-15 minutes, until cheese has melted and wonton wrapper is golden brown.